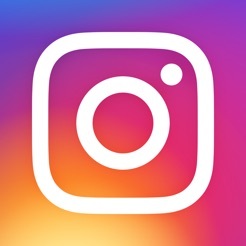 In the great big crowd of social media apps, Instagram continues to stand out for a reason: it makes sharing moments with everyone in your world easy, speedy and fun. Whether you’re posting breathtaking vacation photos tweaked with one of dozens of cool image filters or a video clip of an insane concert, Instagram’s uncluttered accessibility has kept it at the top of the social-sharing heap. But you are ruining it with the new algorythms. Now, only people that recently followed my page are going to see and interact with my content, and same goes for me. Its absurd. Instead of seeing most recent posts on the feed i only see posts from certain pages! Also the follow button seems very restricted lately, and please, do somethig about that annoying picture crop! I’m a photographer and the fact that i have to crop them everytime in a certain way ruins most of my pictures! Big hassle. Make instagram work again please! I don’t know what has been going on with instagram lately, but it keeps crashing. It won’t load the messages and after reinstalling it to make sure it’s not my fault, it won’t let me log in again, the same reason as the one why messages won’t load. The stories will not load either, I can’t post and can’t see other people’s stories. I didn’t mean to write this in a review since it probably is a temporary matter after all, but beacuse instagram won’t let me log in, I don’t really have a choice. Please do something about it!